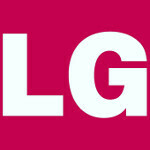 LG Optimus G Pro launch date moved to late this month to beat the Samsung Galaxy S IV release? LG, worried that the rumored March 15th launch of the Samsung Galaxy S IV would put a crimp in sales of the LG Optimus G Pro, is allegedly moving up the launch of its new flagship phone model to later this month. Originally expected to launch in March following an introduction at MWC 2013 in Barcelona sometime after February 25th, LG is now looking at releasing the device later this month instead, in order to beat the eagerly expected Samsung Galaxy S IV to the marketplace. The Samsung Galaxy S IV might be the most anticipated new smartphone of the year and LG does not want to run into a juggernaut. As it turns out, Samsung is rumored to be moving forward the date of the introduction of the Samsung Galaxy S IV by one week to March 15th. That will be followed by a launch in Europe during April with the U.S. Africa and Australia rumored to launch the phone in May or June. Launching the LG Optimus G Pro in February would give LG plenty of time to grab buyers for the device before they are snagged away by Samsung. The LG Optimus G Pro is actually two phones, a 5 inch model for Japan and a 5.5 inch model elsewhere, both with an FHD display. And while some might think that LG isn't confident enough about the model that it needs to have as many days possible free of competition from Samsung, the truth is that this is a cutthroat business right now where every extra dime of profit is hard fought for. Or maybe one of the smaller Android manufacturers will rise up. dont u dare forger HTC M7!!! LG is so cheap, they wanna make as much money as possible cuz they are afraid of a little competition. LG Optimus G is way better than Galaxy S3, But they lost the competition because of poor marketing. yeah you are right. LG's marketing and advertising is poor and I believe like you that, that is one of the main reasons why it didn't go well like the s3..! It has been launched on NTT DOCOMO in Japan isn't it? LG can launch it today if they want to.....this thing does not beat the Galaxy Note 2....it does not even come close! There are no software optimizations in this to mae ti stand out...so LG can just swallow this giant screen phone and all their hopes of beating Sammy wiht it! Time for LG to shape up and release a real good device...the Nexus dont count as Google has to be credited for it! Come the S4 and everyone will bow down to the king! Nobody in there right mind will worry about any LG knock off Note 2 wanna be device. The Galaxy S4 will blow past sales of the LGPro device inside of the first 3weeks even if Samsung gives Lg a 2month headstart. thumbs up for the humor lol! Jeez, please stop with the cheap aesthetics argument already. Lame and shallow. I don't think that it will beat galaxy siv . Agreed. But LG G pro is very formidable one with Snapdragon 600 and 3140mAh battery. I'm curious to see the performance from S600 chip. Yeah, it's surprising. 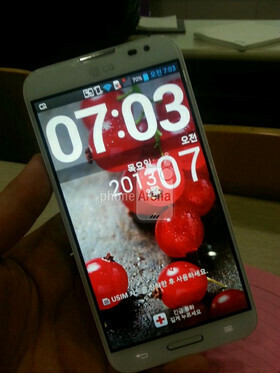 But according to leaked spec image from Korea a few days ago, it is S600 snapdragon. If true, it will be top performer until GS4 arrives. The leaked spec sheet did mention 600 but unless we can read Korean, that could have meant something else but I'm not doubting that claim at all. I thought Qualcomm mentioned a H2 2013 release for 600/800 series, we've barely gone February! Qualcomm said that the S600 would be available in Q2 while the S800 would be H2. Won't matter, if any of you have any sense in your head you'll wait to see what Samsung has to offer - and then you'll buy the SIV as you bought every other industry-leading Samsung device in the past 3 years. Sounds very patronizing. Even with top specs, if it looks cheap like the GS3, I will not buy. My smartphone is my most important and private device, it needs to look proper, not toyish. But ultimately it needs support and usability optimised for the latest software, it's all very well looking eye candy but if the device doesn't get supported beyond 12-18 months then doesn't that defeat the purpose of future proofing and it being your 'most important and private device'? First of all I don't apply such importance to updates. Just because a new firmware adds improvements, this doesn't make the previous one impossible to live with. Sometimes there are even downgrades like the lack of Flash support in JB over ICS. Second, I said that I don't chase specs over design and build quality, but how does this mean that beautiful devices mean automatically bad updates??? getting flash back is possible with Jellybean without actually rooting the device, in fact phonearena has already posted this method. Im using flash on my Note 2 and Nexus 7 but i find it to be a resource hog and battery drainer. When did I ever mention specs, you said that, not me. I specifically mentioned software being the latest android build, NOT a GHz race. The S2 with an 800x480 and Galaxy Ace arent exactly what you call powerhouses today but the fact they are able to receive a recent version of the android os gives them longer shelf life. The software support and updates fix the problems of previous Android or OS builds and there is still the odd lag and stutter in ICS, there is even franco.kernel for 4.2 lag. If you want a beautifual design, fine and if your phone suits you the way you want it, good for you but to apply the non importanace of getting an OS upgrade for your phone when it is available is not what others would agree with you on. I am not specifying specs in anyway, the update is there to enhance and get more out of your device for longer and flash can be installed but wont get updated by adobe anyway if you stick with ICS.